A cute and useful gift to send to welcome a new baby. These two items are sure to delight a little one and keep them occupied. 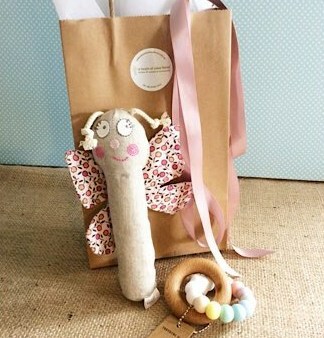 Gift wrapped in a craft bag this combo includes a Nana Huchy Butterfly Rattle and a Nature Bubz Teething Ring.